Every meal is to be enjoyed but sometimes finding time for it can be quite challenging and that is why we decided to open French Bakery at Camana Bay so we can meet your needs in today’s life. Combining the high quality fresh and healthy ingredients with visual appeal will make it easy, quick and less expensive for you when come to think of your lunch option for the day or if you want to grab something for dinner on the way. No matter how much or how little time you have to spare you still deserve to enjoy a delightful meal. A wide variety of pasties and bite-size treats will add a little French touch to your day or your special events. Also maybe you might see our two boys Emanuel and Etienne quite often around. They will be quite happy to recommend you something too since they are our “quality control” or at least give you a smile. OUR PROMISE TO YOU : We will keep it simple but elegant. 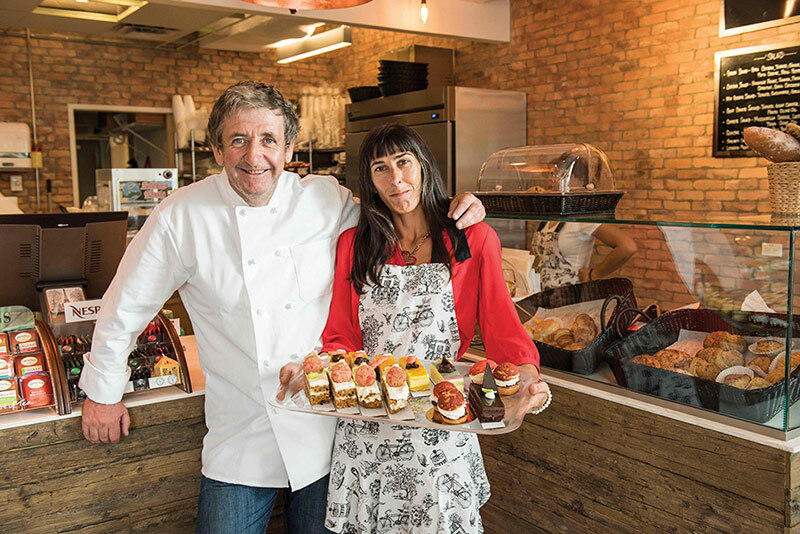 Bruno Deluche and Silviya Toncheva at the Petit Paris French Bakery.